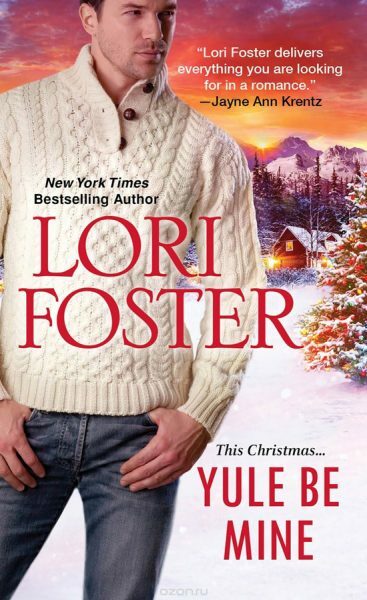 The Christmas Present is featured in the anthology Yule Be Mine and is not available on its own. Why oh why couldn’t this be a normal storm? Instead of soft, pretty snowflakes dotting her windshield, wet snow clumps froze as soon as they hit, rending the wipers inadequate to keep the windshield clear. Even with the defroster on high, blasting hot air that threatened to choke her, the snow accumulated. Refusing to stop and refusing to acknowledge the headlights behind her, Beth Monroe kept her hands tight on the wheel. Let him freeze to death. Let him follow her all the way to Gillespe, Kentucky. She’d ignore everything that had happened between them, and everything she felt, everything he’d made her feel. Oh God, she was so embarrassed. If only she could have a do-over, an opportunity to change the past, to correct mistakes and undo bad plans. That’d be the most perfect Christmas present ever. But of course, there was no such thing, not even with the magic of Christmas. And there was nothing simple about the current mess of her life, or the complicated way that Levi Masterson made her feel. Finally, after hours that seemed an eternity, her stepbrother’s hotel came into view. Beth breathed a sigh of relief. Now if she could just park and get inside before Levi shanghaied her. Ben knew of her imminent arrival. She could count on him to send Levi packing. Not that she wanted Levi hurt… or Ben for that matter. Tires sliding on the frozen parking lot, Beth maneuvered her Ford into an empty spot. After shutting off the engine, she grabbed up her purse, a tote bag loaded with presents, and her overnight bag. Arms laden, she charged from the vehicle. Three steps in, her feet slipped out from under her. The stuffed overnight bag threw her off balance and she went flying in the air to land flat on her back. Her bag spilled. Wind rushed from her lungs. Icy cold seeped in to her spine and tush. For only a moment, Beth lay there, aching from head to toe, stunned and bemused. Then she heard Levi’s hasty approach. Daring a quick glance over her shoulder, Beth saw him ten feet behind her. He hadn’t even parked! His truck sat crossways in the middle of the lot to block hers in, idling, the exhaust sending plumes of heated air to mingle in the frozen wind. Good God, he looked furious! Beth lunged forward and reached the door of the diner attached to Ben’s hotel. She yanked it open and sped into the warm interior. The tote bag of presents fell out of her hands, scattering small gifts across the floor. Her overnight bag dropped from her numb fingers. Several people looked up – all of them family. Why couldn’t there have been crowds of non-filial faces? An unbiased crowd, that’s what she sought. Instead she found Noah and Ben have in close conversation at a table. Their wives, Grace and Sierra, sat at a booth wrapping gifts. And her father and stepmother paused in their efforts to festoon a large fir tree situated in the corner. Upon seeing her, her father’s face lit up. He started to greet her – and then Levi shoved through the door, radiating fury, crowding in behind Beth so that she jolted forward with a startled yelp to keep from touching him. She winced, and peeked open one eye to view her audience. Levi obviously had no idea of the challenge he’d just issued, or the uproar he’d cause by using that tone with her in front of her family. She hadn’t wanted this. She wanted only time to think, to hide from her mortifying and aberrant behavior, to… She didn’t know what she wanted, damn it, and it wasn’t fair that Levi refused to give her a chance to figure it out. Muttering to herself, she dropped to her knees to gather the now damp and disheveled gifts one more time. As she did so, she said, “Hello Dad. Hello… everyone else.” She tried to sound jovial rather than frustrated and anxious and at the end of her rope. With a protectiveness that still amazed Beth, her stepbrothers moved as one. Noah’s expression didn’t bode well, and Ben appeared equally ready to declare war. Even her calm, reasonable father stalked forward with blood in his eyes. No one did. From one second to the next, Levi had her behind him… as if to protect her? From her family? Unfortunately, even that simple touch from him, in no way affectionate or seductive, had Beth’s tummy fluttering and her skin warming. She quickly shrugged off her coat. “No. You can leave with a clear conscience. I’m fine.” She reached for her coat. Levi turned to face their audience. Positive that she didn’t want him to answer that himself, Beth yelled from behind him, “He’s a friend.” And she tried to ease backward away from him. “A whole lot more than a friend,” Levi corrected, and he stepped back to close the distance she’d just gained. “Where’s her fiancé,” Noah asked. Oh for crying out loud. Knowing she couldn’t let this continue, Beth yanked her wrist free and, without quite touching any part of Levi’s big, hard body, went on tiptoe to see beyond him. The masculine expressions facing her didn’t bode well. “Since she’s with me now instead,” Levi told them. His challenge got everyone moving again. Her father stopped in his tracks. Noah and Ben did not. But her lovely sisters-in-law took control. “You’ll survive.” Keeping his eyes on Levi, Ben crossed his arms over his chest and waited. For reasons that Beth couldn’t begin to fathom, Levi stood there as if he’d take them all three on at once. Idiot. Determined to gain control, she chanced touching him long enough to give him a good pinch. He nodded – but didn’t relax. His hand caught her shoulder and he turned her to face him. As if they stood alone, as if he had no concept of privacy or manners, Levi lowered his nose to almost touch hers. But her warning came too late, and Levi had already said too much. Silence reigned as everyone absorbed his meaning. Then she felt it, the smiles, the amusement, the awful comprehension. It took three breaths before Beth could speak. And with that, she literally ran away. Noah and Ben kept Levi from following.